OGDEN, UT--(Marketwired - Jan 16, 2014) - As TAB Bank continues to expand its footprint in terms of geography and business opportunities it is pleased to announce the addition of Patrick Eakins (615-975-1835, Patrick.Eakins@tabbank.com) to the business development team as Vice President and Business Development Officer. Patrick will be based in Nashville, TN and will be responsible for sourcing new business opportunities by providing asset-based and factoring working capital facilities to commercial entities with annual revenues of $2 million to $150 million. 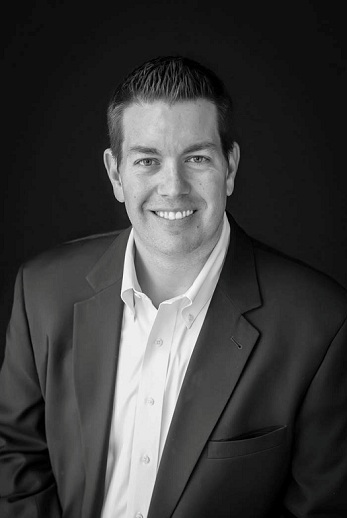 Patrick joins TAB with over twelve years of financial sales and marketing experience. Most recently, he held the position of Vice President/Regional Sales Manager with a general industry factoring company based in California and focused on new business acquisition. Prior to that, Patrick was a Regional Sales Manager with two large payment processing corporations that specialized in the transportation industry. Patrick earned his Bachelor of Arts degree in Communication Studies from the University of North Carolina in Wilmington. "The Southeast region of the United States will continue to be a strong area of focus for TAB's business development efforts. Our goal is to create numerous opportunities for our commercial finance and working capital products and services to be offered to the many small to medium-sized businesses and firms in the region. We look forward to taking advantage of many opportunities for building new relationships and cultivating existing ones in this economically diverse area of the country. The addition of Patrick to our business development team will greatly enhance our ability to achieve these goals," stated Justin Gordon, Senior Vice President of Sales and Marketing for TAB Bank. TAB Bank has assets in excess of $700 million through a variety of financial products including accounts receivable financing, asset-based lending, lines of credit, equipment finance, business accounts, and treasury management services. TAB Bank provides working capital solutions to small and medium-sized commercial businesses across a wide range of industries. TAB provides these solutions in all stages of a company's business cycle no matter the economic climate.